Kathmandu, July 30 (IANS) Three major political parties of Nepal – the Nepali Congress, CPN-UML and UCPN (Maoist) – late on Tuesday consented to the government’s plan to sign Power Trade Agreement(PTA) with India during the two-day visit of Indian Prime Minister Narendra Modi. Modi is arriving in Kathmandu on Sunday on a two-day official visit. 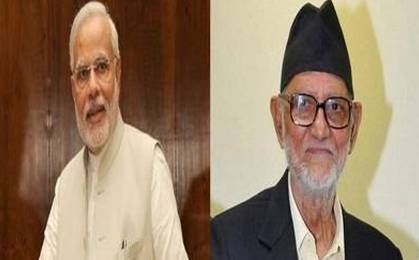 The meeting of the parties was chaired by Prime Minister Sushil Koirala to seek national consensus on the agenda to be discussed with the Indian prime minister during his visit to avoid any controversy.